What is Short Bowel Syndrome and What are its causes? When your bowel makes a quick exit from the large intestine, there are chances that you may have developed diarrhea. And when portions of the small intestine are removed, this case is of short bowel syndrome. It is a condition when your body becomes incapable to absorb nutrients from the food you eat because you don’t have proper functional small intestine. When the portions of your small intestine are surgically removed. It may also lead to some severe conditions including Crohn’s disease, the formation of blood clots in arteries, cancer or some other injuries. When the portions of your small intestine are damaged or missing by birth. If it is damaged by birth, then it has to be surgically removed as well. If you learn that you have developed short bowel syndrome, then you need to consult the best gastroenterologist in India as soon as possible. Your doctor may guide you to have right amount of nutrition and eventually, you can lead a healthy, normal life. All you need to do is stick to your treatment plan recommended by your doctor. Request an appointment with one of the top 10 gastroenterologists in India via Vaidam Health! Dr. (Col.) V.K. Gupta: Dr. V.K. Gupta is one of the best doctors in India with more than 33 years of clinical experience in his field of specialization. He is currently associated with Max Super Speciality Hospital Shalimar Bagh. He has pursued MBBS, MD followed by DM in his field. He has his name in Guinness Book of World Records for being the Consultant physician on a mobile hospital for the longest duration – from August 1997 to January 1998. He is known to have performed the highest number of Gastrointestinal and hepatobiliary endoscopic interventions in Armed Forces till now. His field of expertise includes Hepatitis treatment, Gastric Ulcer treatment, Pancreatic disease, Colonoscopy, ERCP treatment and more. Dr. Vivek Raj: Dr. Vivek Raj is one of the well-known and leading Surgical Gastroenterologist with 24 years of vast and wide experience in his field of specialization. He is currently associated as a Director at Max Super Speciality Hospital Gurgaon. His special interest lies in ERCP, Colonoscopy and several liver diseases. He specializes in inflammatory bowel disease, Hepatology including Hepatitis B&C, Gastrointestinal motility and Capsule Endoscopy. Dr. Yogesh Batra: Dr. Yogesh Batra is a demanding and well-respected physician who is currently associated as a Senior Consultant and Head of Gastroenterology & Hepatology Department at BLK Super Speciality Hospital New Delhi. He has over 17 years of experience in the field of Liver Transplantation. His special interest includes transplant hepatology, Therapeutic Endoscopy, Endoscopic ultrasound. He was previously associated with Batra Hospital, Holy Family Hospital, Sir Ganga Ram Hospital and All India Institute of Medical Sciences New Delhi. Dr. Rakesh Aga: Dr. Rakesh Aga is a highly-qualified and well-experienced doctor with more than 29 years of experience in the field of Gastroenterology, Hepatology and Therapeutic Endoscopy. He is currently associated with Max Hospital Gurgaon. He is an active member of various prestigious organizations including the American Gastroenterology Association, British Society of Gastroenterology, Indian Society of Gastroenterology, and Society of GI Endoscopy of India. Dr. Prasanna Kumar Reddy: Dr. Prasanna Kumar Reddy is a dynamic surgical gastroenterologist with 47 years of clinical experience He was awarded for completing 25 years at Apollo Hospitals Chennai. He has played an instrumental role in establishing GI unit and Advanced Apollo Hospitals at Apollo Hospitals Chennai. He has several papers and publications to his credit. He specializes in Gastritis treatment, Laser Piles Treatment, Hepato-Biliary-Pancreatic Surgery and Stapled Haemorrhoidectomy. Dr. Subhash Gupta: Dr. Subhash Gupta is the most demanding liver transplant/hepato-pancreato-biliary surgeon with 37+ years of experience. He has carried out more than 300 living donor transplants in 2013. He has many awards to his credit including The Honorary Professor of Kazakistan, BC Roy Award, Gold Medal by Delhi Medical Association, Yash Bharti Award and Vishist Chikitsh Rattan. He is currently associated with Max Super Speciality Hospital New Delhi. Dr. Neelam Mohan: Dr. Neelam Mohan is a Director of Gastroenterology & Hepatology department at Medanta the Medicity Gurgaon. She has more than 21 years of experience in her field of specialization. She has bagged a fellowship from the American College of Gastroenterology and FIAP award by the Indian Medical Association. She has more than 180 papers and publications to her credit. Dr. (Prof) Nirmal Kumar: Dr. Nirmal Kumar is a dynamic and renowned physician with more than 37 years of experience. He has bagged several awards and medals to his credit including Distinguished Teacher Award of Delhi Medical Association, Smt. PK Jain Oration Award, State Award for Service Doctors by Govt. of NCT of Delhi, etc. He has more than 70 publications in national and international journals. Dr. Rakesh Tandon: Dr. Rakesh Tandon is one of the best and well-known physicians who is currently associated as a head of Gastroenterology Department at Pushwapati Singhania Research Institute, New Delhi. His area of expertise lies in the treatment of chronic pancreatitis using different types of endoscopic interventions. Dr. Vaithiswaran V.: Dr. Vaithiswaran V. is a well-experienced doctor with more than 12 years of clinical experience in Minimally invasive surgery- basic and advanced laparoscopy- laparoscopic GI oncology and bariatric surgery. He currently practices as a Head and Senior Consultant of Surgical Gastroenterology Department at Global Hospitals Chennai. He has received the ‘Best Paper Award’ in 2010. It is quite common for children to have sickness. This chapter describes ordinary or common diseases. 40 percent of India’s population is less than 14 years of age. About 12 children of every hundred children are actually under 5 years of age. Disease and death dominate more with younger age. Out of 100 born children, 5 are born before completing one year of their age. This death rate of children is significantly higher than the mortality rates of developed countries. In developed countries, this rate is less than one percent. If we look at the pattern of length and weight of Indian children and their diseases, then we know that their health is not good either. The growth of about 40 percent of Indian children has not improved and they are malnourished. The poor health of children and the deaths of children in India is the only bad condition of living. Due to these conditions, conditions of malnutrition, infection, disease and accidents are created. In most communities of India, there is even more difficult situations for boys than birth. It is also a great problem for the girl to know about the pregnancy when she is abducted, and to finish the girl immediately after birth or to throw it out on a cudden. Malnutrition, illness, lack of care and deaths are also seen in the case of girls. For this reason, the gender ratio in India is less than the number of girls compared to men or boys. In spite of having large-scale illnesses in children, there is a lack of children’s health services. Most health workers and private medical practitioners of rural areas are not trained for children’s health services. Anganwadi programs run for the care of special children are also limited to complementary nutrition and immunization. Apart from this, many children are born in homes and newborn babies are not well cared for. In India 30 percent of children are losing weight while they are born and they have to struggle a lot to stay alive. This chapter will help you to understand the health of children’s health. Problems of getting out of teeth, headache, vomiting and amatitis, diarrhea, dysentery, stomach ache, jaundice, cremation, motijara, dohad, constipation and accident to poison. Colds, tonsillitis, or swelling of throat, throat deterioration (swelling), vascular edema, bronchitis, pneumonia, tuberculosis, cardiovascular disease, asthma. Sores, infected lesions, eczema, louse, palm (scabies), Dandru worm. External ear infections, foam in the outer ear, waxing in the ear, infection of the middle arteries and deafness. Foot-shaped disturbances, disorders of other bones and joints, rickets, bone infections, muscle depletion due to malnutrition, muscular disorders. Filariarias, cancer, throat bumps and viruses. Renal inflammation (renal edema), epidermal syndrome, bladder infection, urethritis, stomach and urination. Absence of testicularity completely, lack of testis and sterile light. Measles, rubella, small maternal ancestry, malnutrition, premature birth, weight loss at birth. Injury, burning, bitten by some insects, drowning, electric shock, running an external thing in the ear or nose or moving in toxins. This list is for making a thick understanding only. You will read about many diseases in other chapters. Only a few specific diseases have been discussed in this chapter. In childhood the digestive system, respiratory system and skin diseases are the most. Malnutrition also increases due to worms in the body. It is not enough to give medication for the disease. In order to protect the health of children and save them from death, we should also focus on defending diseases and treating them in the beginning. Nutrition, hygiene and vaccination are very important. Pneumonia affects the lung tissues. The reason for this is usually bacterial infections. Virus infection is very rare. Transition occurs by air. Pneumonia causes inflammation in any part of the lungs. This makes the child breathe fast. Inflammation leads to cough, fever and other symptoms such as starvation, vomiting, and excessive weakness. A healthy child usually does not have pneumonia. Normally pneumonia occurs when the body’s immune deficiency is weakened by any other illness. Children recovering from measles or any virus respiratory system, malnourished children, premature babies and low-weight children are more prone to pneumonia. Specific rescue is not possible. Child pneumonia is a serious disease in India. This beam to any child less than five years old. 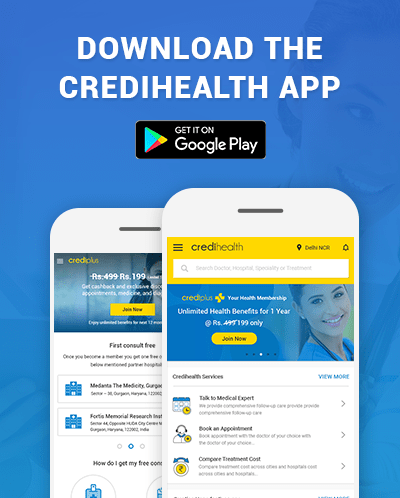 If you need to consult with best Pediatrician in Jaipur then you can find it on Credihealth website or you can call on +918010994994, if you want any medical assistant then medical experts of Credi will help you to choose the right child specialist near you and book an appointment online with priority appointment and get discounts with paytm cashback on booking done through Credihealth website or mobile app.